Imagine psoriasis completely gone from your body. Yes, it’s an amazing thought and today I want to share a story which will hopefully inspire you to take action to help you control your psoriasis once and for all. 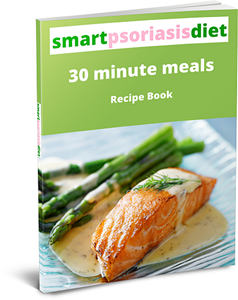 As you probably know by now, I urge all the readers of Smart Psoriasis Diet to take the Psoriasis Vitamin D challenge (i.e. get your levels tested to see if you are deficient and then supplement accordingly). 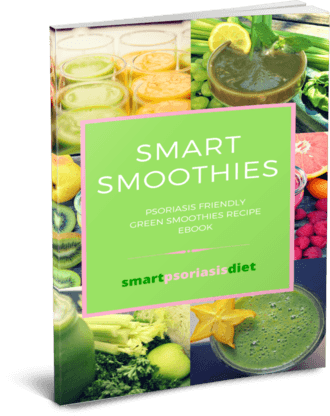 This triggered an email response from a Smart Psoriasis Diet reader, Steve, who has seen huge success following a plan very similar in design to the SPD plan outlined on this website, but customised to suit Steve’s lifestyle choices and his in-depth personal research into the matter. Psoriasis Completely Gone – Happy Days! I asked Steve if it was ok to republish his email and he duly obliged. It is a fantastic motivational email for people sitting on the fence about trying a “smarter” way to control your psoriasis. Testing your vitamin D levels and supplementing accordingly to get it to psoriasis healing levels. Removing 3 food types from your diet and replacing it with a more healthy balanced diet (shortcut here) and some supplements. So I just want to thank Steve again for sending me his email and for anyone else who has a success story either by following the SPD or like Steve who took “inspiration” from SPD and would like to share with the SPD community, please send an email to [email protected] I love reading these psoriasis success stories and I am sure fellow SPD readers appreciate them too. Thank you for your emails and I look forward to receiving them. I suffered from plaque psoriasis on my elbows and knees for years and more recently in some lower leg areas. Over the years I contained it with Avino, Lubiderm and other topical creams. I must say I did have more success with coal tar creams such as Psoriasin when I used them and the like. However this is not my real story or the reason for my email. I have been receiving your emails on and off for almost a year and always wanted to respond. Your vitamin D challenge presents me with the perfect opportunity and context. Last spring (2016) I had a major outbreak of what I eventually found out – by way of a biopsy – to be psoriasis to over 70% of my body. I had initially been told by several Walk in Clinic and ER doctors that it was an allergic reaction to something. I was prescribed numerous steroid creams and the like but none of them worked and my purported “rash” would not go away. I eventually retained a family physician (I have never been sick in my life) who performed a biopsy which eventually confirmed psoriasis. I must say that it was in the back of my mind all along that it may be psoriasis (it didn’t have the plaque symptoms I was used to) but I held out in the hope that it was not. In hindsight and at the time I cannot point to a possible trigger – such as inordinate stress, something I ate and the like. It just sort of happened. I was once again prescribed steroid creams and the like which were quite expensive. I have a medical plan so cost wasn’t an issue. I decided not to go with the creams as I wanted to thoroughly educate myself about psoriasis and look at alternate treatments. As I had suffered from plaque psoriasis for years I felt it was time that I got to the bottom of things and find out what the hell was really going on. It was during my research that I came across your web site and a number of other web sites that posited a vitamin D3 theory along with diet, exercise and the like. There appeared to be a bit of a spectrum regarding diets and treatment – some web sites posited far more radical diets such as yours to softer diets on other sites. What strongly resonated with me at the time and still does today is the statement that psoriasis cant live in a healthy body. I cant remember if I read this on your site or somewhere else but it clearly makes intuitive sense. I do believe that allot of our ailments, conditions and the like are the result of unhealthy lifestyle choices – whether they be diet, physical, social, spiritual etc. Allot of our modern ailments are also due to environmental factors as well – chemicals, preservatives, hormones in food, stress factors in life and at work etc. It is fairly trite that some of our choices that we make and the environmental factors impacting our life directly impact our health. When I saw my psoriasis in this context and through this prism, improving my health made absolute sense if I was to somehow successfully battle my psoriasis. My general observation from what I read on line was that D3, diet and fish oil seemed to have results – albeit unscientific – as the theory/treatment was relatively new. Any medical or scientific evidence was non conclusive as time lines for studies were insufficient or had simply not run their course. Some personal testimonials said they had success with diet, D3/fish oil and others did not. In any event, there appeared to be emerging non conclusive evidence that D3, diet and possibly fish oil were effective treatments. I decided to undertake my own “unscientific” study using my body as the rat to see what the buzz was all about. By way of physiology, I am a non (never) smoking 53 year old Caucasian male, slightly overweight, who engages in mild to moderate physical activity. I have a high stress job. I consume alcohol socially but on a regular basis (weekends and sometimes mid week) and although my diet was balanced, I did consume larger amounts of carbohydrates in the form of pasta and breads. My sense is that my D3 levels were normal through my outdoor activities and food consumption but did not get these levels tested. I also regularly consumed what one would call junk food – such as potato chips and the like. I also ate at restaurants and ordered take out meals on weekends with the family as any average person would do from time to time. The first thing I did was to decide on a relatively consistent course of treatment for 3 months to see where it took me. After 3 months I would re-evaluate and make adjustments as the case may be. 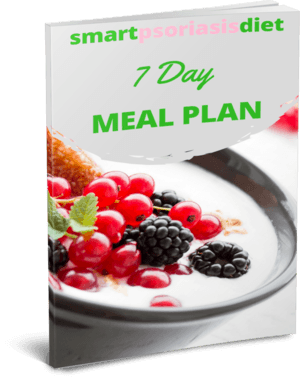 My plan consisted of adjusting my diet – not radically by any means – but to eliminate as much as possible white flour based pastas, breads etc. I also cut out my junk food completely. I also wanted to reduce my daily caloric intake as well to lose some weight and consume more fiber – up to 100% of the recommended daily fiber intake. I had been reading up on how fiber augments a healthy digestive system which needs essential enzymes and bacteria to insure a healthy body. Some studies suggest the key to health is in the gut. I did not shy away from night shade vegetables or anything like that. Essentially I consumed more fruits and vegetables, more fiber and less carbohydrates and stayed away from preservative laced foods like processed cold meats, hotdogs and the like – not that I was a big consumer of these in any event. I also reduced my red meat intake to once a week maximum and reduced consuming take out foods and eating at restaurants. Generally I opted to prepare most of my food at home with fresh ingredients as much as possible. I did not stop my alcohol intake but limited it it to beers and wines and less frequent consumption. I changed all my soaps, detergents etc to pure soaps just in case detergents were the trigger. I also embarked on a more active lifestyle of regularly working out. In addition to the changes in my diet, I also sought out – on line – appropriate amounts of vitamin D3 and fish oil to take as part of the treatment. I came across one site that suggested that 4000 iu of vitamin D3 a day would not be adverse to my health. The site also suggested up to 5000 iu of wild fish oil would also not be adverse. I decided to consume 4000 iu per day of vitamin D3 and 3000 iu of wild fish oil per day to augment my above lifestyle and diet changes. I also took your advice to get out in the direct sun for at least 1 hour per day. I have to say that the results were remarkable. Within a month my psoriasis was gone – including the plaque psoriasis on my elbows and knees. Needless to say I was elated with the results and rigidly continued my regimen for 6 months. Symptoms did not return. After 9 months I started to reintroduce parts of my diet – not by choice but my weakened resolve – but not to the extent prior to the diagnosis. Again – no return. I experienced highly stressful situations throughout – no trigger. Consumed alcohol – no trigger. Consistently throughout I maintained my 4000 iu of D3 and 3000 iu of fish oil a day and kept up (aside from some minor transgressions) with my diet. The results – as I have said above – were/are remarkable – psoriasis is 100% gone. After 9 months I decided to start experimenting. I stopped taking the D3 and fish oil and fell back to my old diet and lifestyle ways to see what would happen. During this time I gained between 5-10 pounds. Interestingly, for about two months no signs of return but after about 3 months a small amount of psoriasis began to appear in a spot on my lower leg that it had frequented in the past. That was enough for me and I immediately resumed my regimen. The psoriasis that appeared has since gone away and no other symptoms have appeared. I am still debating whether to let it all go again (ie. stop D3/fish oil/diet) for a more lengthier trial to see what happens. Although my experiment is highly unscientific, I have to say that my regimen may have worked – at least for me. I cannot say conclusively that the D3/fish oil/diet combo worked or whether it was one, two or all three together that did it. What I do know is that my psoriasis is completely gone and other than the above outbreak, I have experienced no other return of symptoms. I am continuing with the D3 and fish oil and have reverted back to my changed lifestyle. I am your average middle aged person who has weakened resolve and all the hang ups one associates with our modern society and lifestyle. However the changes that I did make to my diet and lifestyle were not that drastic and were very doable. The D3 and fish oil supplements were obviously the easiest elements of my initiative and may very well be the ones that have worked in the end – although here are huge benefits to a healthier lifestyle. My sense is that vitamin D3 and/or fish oils may not work for everyone but they did work for me and it certainly is worth a try. When one is faced with over 70% of your body covered in psoriasis you tend to want to mitigate the symptoms immediately. Although my body is by no means a temple of healthiness, psoriasis does appear to be having some difficulty living in my body by the very doable changes I made. So….. I took my own vitamin D3 challenge with spectacular results. I hope it also works for your readers. If you struggle with diet, take it one step at a time and cut out the junk food and lower your calorie intake. You know it’s the right thing to do and lays a great foundation to control your psoriasis. Steve has a stressful job but he still manages to get exercise in multiple times a week which in my opinion helps get his mind off the job. It also sounds like he has a very happy family life a which definitely helps stress levels! I also can tell from Steve’s email that he is highly intelligent and would assume he is an expert at what he does and likes breaking down situations into logical steps. 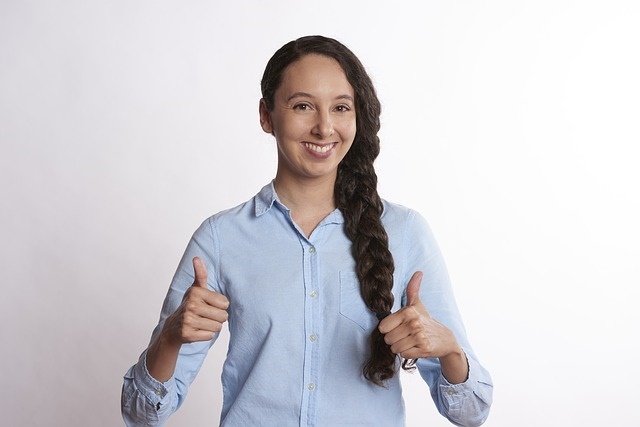 Through the reading of this site and others, he was able to build up enough of a book of anecdotal evidence to pinpoint the small changes he had to make to bring about the biggest results without having to sacrifice too much of his current lifestyle. This all goes back to the 80/20 rule and the basis for creating this website! You can read the origin story here. He took action. Keep trying until you find what works for you. Vitamin D and Fish oil are on my essential vitamins for psoriasis so you have no excuses not to add these to your daily regimen (with your doctor’s approval of course!). Finally to reemphasise the importance of vitamin D and help you to also get “psoriasis completely gone”, check out these excellent medical research videos.